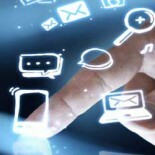 Customer service meets social consumer relationship management. Over the past two decades, Consumer Relationship Management (CRM) has been a strategic approach for most of the companies trying to figure out behaviour of the consumers. CRM was a convincing solution for the marketers to improve sales, conduct market research and to solve customer issues/problems. However, moments such as economic recession and social media revolution have had a significant impact on the consumer purchase process. An analysis of the impact of the environmental policies on Hong Kong five-star hotels’ reputation based on consumer buying behaviour for green hotels. 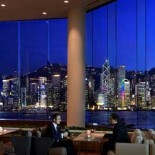 A case study of Intercontinental Hong Kong Hotel. The public and the industrial sectors are increasingly concerned about implementing green practices. Apart from protecting the environment, the green practices may affect the company itself. However, limited researches have focused on analysing the green practices in Hong Kong fivestar hotels. As a result, this paper is to study the effectiveness of implementing green practices in the case study of InterContinental Hong Kong Hotel. To achieve the purpose of the study, the author will first examine the relationship between brand image and consumer buying behaviour. Then the author will observe how a green image of a hotel affects the consumer buying behaviour in order to understand whether the consumers will be attracted to hotels with green practices. An analysis of the impact of social media on event organisations in Ireland. Social Media is an emerging medium with many organisations turning to it to advertise the business. Marketers all over the world have noted significant changes with the introduction of digital technologies. The use of these free marketing mediums has greatly impacted on the way organisations advertise their products or services, especially during the economic uncertainty. From provisional research in the area, it was clear that there was an absence of information relating to the impact on event organisations in Ireland. The aim of the study was then developed to analyse the effectiveness of social media on event organisations and delve into the rationale behind the implementation of the social media plan. Intermediary is one type of distribution channel. It is a third party to connect the businesses and the customers. 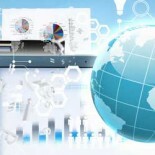 The adoption of distribution channel is hard and costly to be modified. Therefore, small firms are necessary to make the decision of selection carefully due to their lack of working capital. The financial situation of small firms in Hong Kong is even worse due to the extreme high housing rental rate. Groupon is a so-called deal-of-the-day intermediary website which has just expanded its service into Hong Kong. 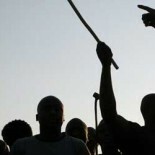 Assessment of pro-poor tourism in South Africa. Consumer motivation for the demand of molecular gastronomy. 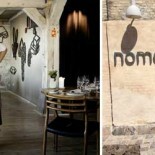 A case study on Noma Restaurant, Copenhagen, Denmark. Food has evolved together with globalisation and so has the identities of nations which have made a name of themselves as tourists travel far and wide to experience culinary specialties. This paper aims to look at what drives consumers to decide where to venture to and experience not only the culture of the country but also to savour the culinary delights the country has to offer. Not only is this paper delving into the motivations of individuals to travel, it relates it to a deeper scale in the sense of focusing on the latest form of culinary cuisine in the world: Molecular Gastronomy. Nation branding, which is regarded as one of the most effective destination marketing tools, has been increasingly accepted and preferred by many tourism destinations. However, the study of the nation branding’s impacts is still limited in several countries. Hence, this study critically examines this issue in the context of South Korean nation branding. A combination of qualitative and quantitative approach will be used to investigate the benefits as well as limitations of South Korean nation branding on different stages of tourists’ decision-making process. 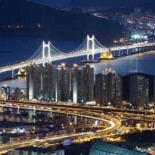 Therefore, there is an evaluation of how nation branding affects tourism in South Korea. Employer branding is said to be a modern human resource management tools in the war for talents nowadays. There are various factors being studied to find out their values toward this fresh idea. 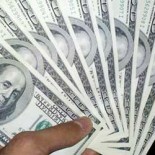 However, the value of a common item in the relationship between the employee and employer is still under research, the salary. This research focuses on the study of hotel low-echelon foreign employees and proposes to conduct a primary in Dubai. Part of the objectives of this paper is base on a two stages primary approach. The first stage is an exploratory mixed-method research while stage two is an explanatory quantitative research.